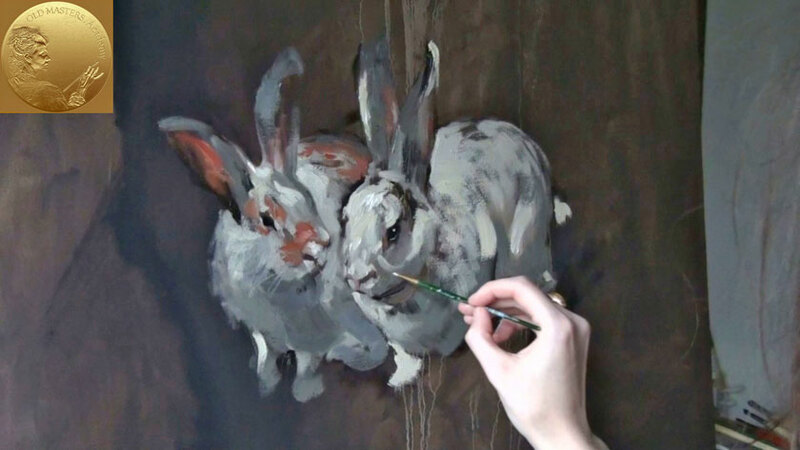 In this video part you will see how two rabbits were painted. 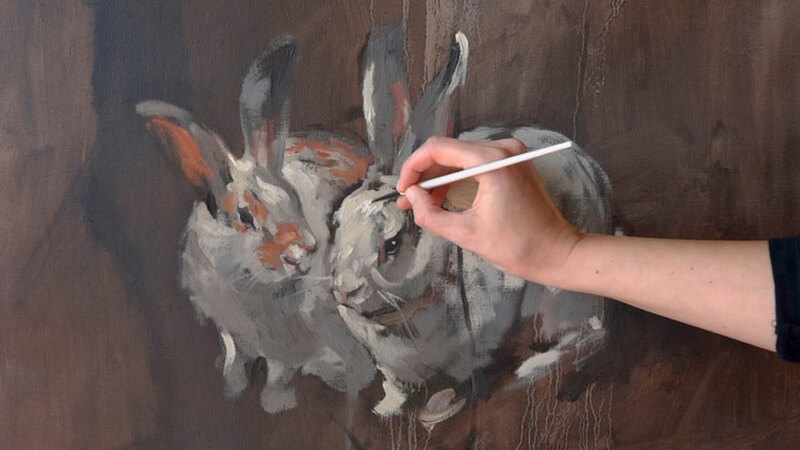 The background is absolutely dry by this time and we’re outlining the rabbits shape with medium brush. The Vandyke Brown is used for that exercise. 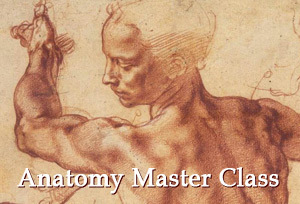 Start with approximate mass forms first. 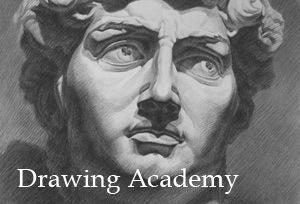 There is no need to go in every detail of the drawing, the fewer lines we have the better. Paint the key-points only. It’s better to have rigid semi-dry brush for that purpose, as no need to leave thick paint brushstrokes. The indication of the drawing would be good enough. This sketch would be good to begin the painting. Now we can change the approach and choose a different brush – more soft but still firm enough to paint with well defined brushstrokes. It’s quite important to choose the brush which will leave marks of the brush hair – thus depicting rabbits’ fur sensibly. 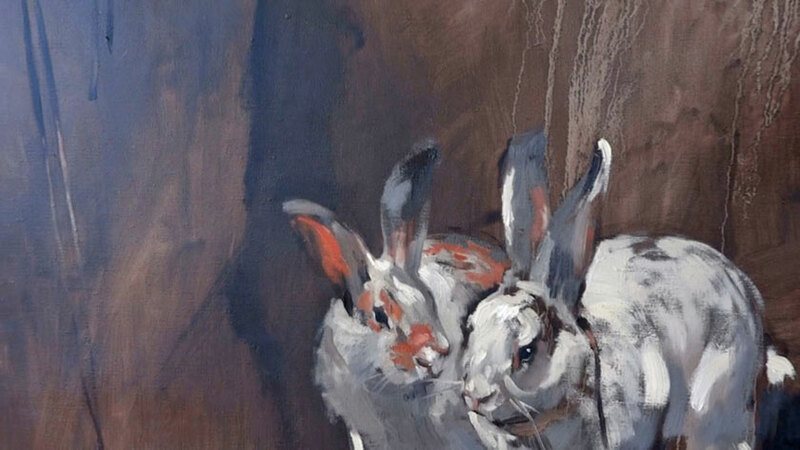 You can combine thick paint brushstrokes with semi-dry ones to create the visual of fluffy and smooth rabbits’ pelt. Feel free to use loose freehand technique to paint rabbits. This task requires your expressiveness rather than precision. Using various brushstrokes and limited in color palette, you can attain quite rich creative effect. 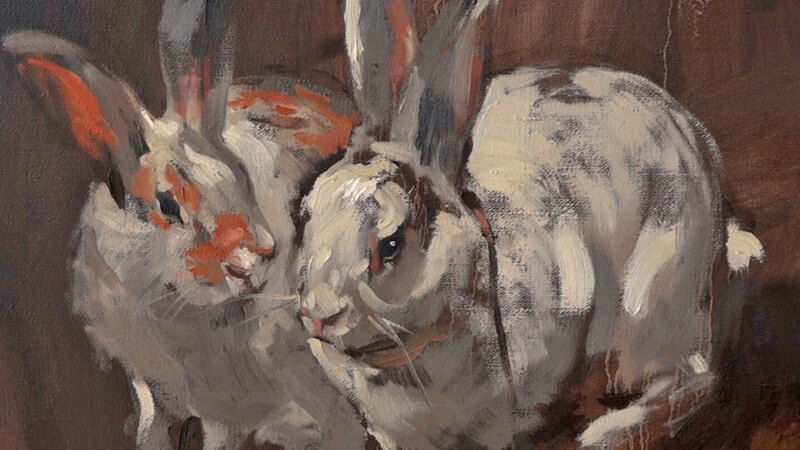 For lighter areas of the rabbits’ fur we are using the mix of Buff Titanium with Raw Sienna and Ivory Black. For darker shaded tones we just adding to this mix more ivory black paint. For reddish spots the English Red and Scarlet Lake were used. When painting the rabbits’ we’re progressing from big masses to details. Gradually building up layers of paint we’re making eyes, whiskies and almost white highlights. 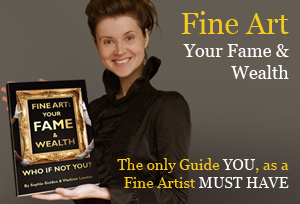 The freshness of the ala prima painting approach is very similar to those made on the open air.